This Alaska National Park and State Parks in Alaska list will help you decide the must-do's of the biggest state in the USA. Plan your next family travel adventures here. Alaska is a state known for wide open spaces and miles and miles of untouched nature at its finest. Should you and your family's travels take you to this state, you must set aside some time to visit the national and state parks in Alaska to experience this beauty in person. Aniakchak National Monument and Preserve is an Alaska national park that is especially appealing to those interested in the study of volcanoes. Aniakchak National Monument and Preserve is home to a volcanic caldera that is 6 miles wide and more than 2000 feet deep. This park also preserves the history of the people who settled in this area after the volcanic eruption. The Bering Land Bridge is an Alaska national park that marks the area where a land bridge once existed, connecting Asia to North America. Though modern day water levels have covered the bridge, there is still lots to see in the natural beauty of this park. Your kids will enjoy participating in the park's Junior Ranger program which will give them the opportunity to learn more about the park's history and culture from a kid's point of view. The Cape Krusenstern National Monument is a wetlands preserve that houses the archaeological history of the Inupiaq Eskimos. Cape Krusenstern National Monument contains more than 100 beach ridges where the Inupiaq of the past and present have used as a location to harvest greens and berries and hunt for fresh meat. The Denali National Park and preserve is an Alaska National Park that is home to rugged terrain and Mount McKinley, which is over 20,000 feet tall. 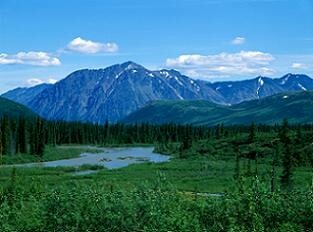 Denali National Park and preserve is an ideal respite for nature lovers who wish to experience the beauty of untouched nature. This is also a great location for kids to earn the Junior Ranger badge while on the family travel adventures. Gates of the Arctic is an Alaska national park that boasts some of the most remote views in Alaska. Gates of the Arctic is geographically situated above the Arctic Circle, and somewhat difficult to reach. Viewing Gates of the Arctic requires advance planning, and hiking long distances in remote regions of the Alaskan wilderness. Glacier Bay is a great spot to get a closer view of Alaskan marine life while on your family travel adventures. This wilderness preserve is home to rivers, lakes, ocean beaches, and, of course, glaciers. This preserve is also home to wildlife such as wolves, deer, bears, seals, sea lions, and humpback whales. Sitka National Historical Park is the oldest national park in Alaska and it preserves the history of the Battle of Sitka in 1804 between European settlers and natives of Alaska. Kids participating in this park's Junior Ranger program will have the opportunity to learn further information about the park's environment, as well as the culture of those who lived there in the past. Wrangell-St. Elias is an Alaska national park that houses an impressive mountain range, including the second tallest point in the United States, Mount St. Elias. Your kids won't want to miss earning a Junior Rangers badge here, while learning about the animals, minerals, and insects that can be found in this Alaska National Park. Yukon-Charley Rivers is an Alaska national park that is on the border between Canada and Alaska. You can participate in various water activities on the Yukon or Charley Rivers during your family travel adventures, but be sure not to miss a tour of the Coal Creek Dredge, which was once a thriving gold mine. Noatak National Preserve is home to the Noatak River, which is one of the biggest mountain river basins and thriving ecosystems in North America. Noatak National Preserve has been home to the Inuqiaq Eskimos for many years, and they have been highly instrumental in helping archaeologists learn more about the history of this area. Chugach State Park is a fun place to visit during your tour of state parks in Alaska that offers trails, camping, skiing, and climbing. Your kids will enjoy touring the Chugach Children's Forest, an area set aside for kids and their families to have a more hands on experience at the park. Denali State Park is a fantastic location for exploring nature, viewing wildlife, and getting up close and personal with the majestic views of the Alaska Range of mountains. For more adventure, you and your family should take advantage of this park's opportunity for scenic mild water rafting. Another great choice for a visit of state parks in Alaska is Kachemak Bay State Park, a park that also happens to be the only wilderness park in Alaska. This 400,000 acre reserve is home to a variety of wildlife, and the Bear Paw Adventure at the Wise Old Hunter Lodge will provide you and your family with the chance to get a better view of the animals that live in the area. Another choice for state parks in Alaska is Wood-Tikchik State Park, which was developed in 1978 to provide a safe haven for Alaskan fish and wildlife. This preserve spans over 1,000,000 acres and is a great place to view fish, wildlife, and birds including eagles and seagulls. Chena River State Recreation Area is less than 30 miles away from Fairbanks, Alaska, and offers more than 250,000 acres of fresh air and open spaces for activities such as camping, ice fishing, dog sledding, and more. 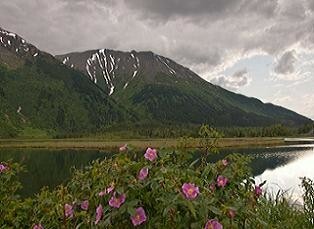 Nancy Lake State Recreation Area offers a flat landscape that is rarely seen in state parks in Alaska. Located an hour and half away from Anchorage, this park offers clear lakes for canoeing and fishing, as well as trails and woods for exploring and camping while on your family travel adventures. Independence Mine State Historical Park was once home to two highly profitable gold mines. Today, visitors can tour the on-site museum and learn more about life in a gold camp. Totem Bight State Historical Park is a stop along the tour of state parks in Alaska for those who wish to learn more about the culture of the people who were native to Alaska. Totem Bight State Historical Park contains a large collection of totem poles from various native communities. Point Bridget State Park near Juneau is a seaside park where visitors can take in cliffside views of the sea, or enjoy skiing and snowshoeing. Don't forget to stop by the Blue Mussel Cabin to enjoy some of the most spectacular views of the ocean. As a final stop for state parks in Alaska, Wickersham State Historic Site gives visitors a glimpse into the life of James Wickersham, an influential settler during the early years of Alaska. The museum house was built in 1898, and was purchased by the state in 1984 to preserve its history.